One of MeBO's aims is to make the Trimethylaminuria tests more widely available and accessible. In the UK, we have managed to get the TMAU urine test put in the catalogue of The Doctors Laboratory lab (but a referral is necessary), and Medichecks (direct, but they charge £275). The only TMAU urine tester in the UK is Nigel Manning at Sheffield Childrens Hospital, but a referral is needed. All the above labs source the test from the Sheffield lab. The Sheffield Lab allows private Drs to test for approximately £136. 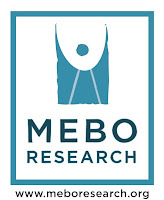 MeBO is pleased to announce that a lab in Bedford, England, Mullhaven Medical Laboratory, www.mullhaven.co.uk, has kindly agreed to let anyone do the Sheffield TMAU urine test direct by mail, so no need for a doctor's referral, for £191 (which is a lot cheaper than Medichecks'). This is ideal for anyone who just wants to do the urine test at home without a doctor's referral. The lab has already put the test on their website list, and you can place your order online. (click on the letter 'T' for the TMAU (Trimethylaminuria - Fish Odour Syndrome) test. Always remember that the TMAU urine test is free on the NHS.